One of the most fascinating developments in space technology is the new art of controlled recovery of first stage launchers. A new technique, developed by SpaceX, promises to reduce the cost of access to space considerably. It's got the Big Aerospace competition worried and it's also put the USA back on top when it comes to being demonstrably masters of cutting edge technology. The spaceflight pioneers of the 1940's and on had no use for recoverable launchers. Manned spaceflight technology was derived from nuclear missile technology and there was never any question of reusing a launcher in the case of a nuclear missile. When the Space Shuttle was developed, the two solid fuel boosters were recovered by parachute and had to be fished out of the sea and then subjected to an expensive refurbishment before the parts could be reused. Yet machines that land vertically have been around for quite a while. Hanna Reitsch, the German test pilot, demonstrated the FW61 helicopter at a 1938 Berlin motor show and the ability to hover was also a feature of the first jet with vertical land capability, the Harrier. The Lunar Lander could also hover and this hovering business is quite a trick. It requires a propulsion system with a precise and responsive throttle control. By this I mean that the thrust can be adjusted in very fine increments and will change quickly in response to pilot commands. The above video, BTW, shows Neil Armstrong getting into problems flying something called the Lunar Landing test vehicle. This was a rig designed for Apollo crews to practice their moon landings in. He runs into difficulties and ends up demonstrating why he was picked to be the first man on the moon. In order to hover a machine such as the Lunar Lander or a Harrier with precision it is required to be able to reduce the amount of thrust as the fuel is consumed. The amount of thrust being produced must be equal, no more, than the weight of the machine plus its fuel load. 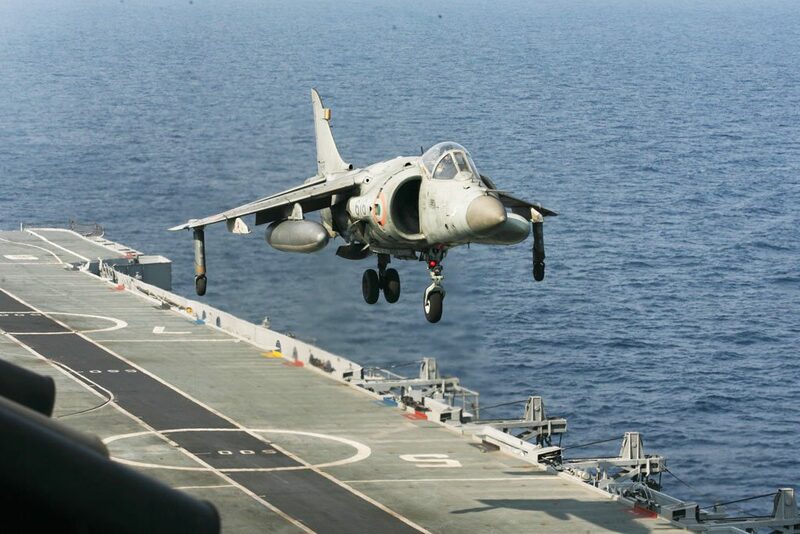 And on the Harrier and the Lunar Lander the fuel was used up pretty quickly hence the throttle setting has to be continually reduced has long has the hover is maintained. Rocket engine requirements tend to emphasise power in favour of controllability. And with space craft launchers the main issue is thrust, the engines are started up for lift off and tend to run flat out until all fuel is exhausted. 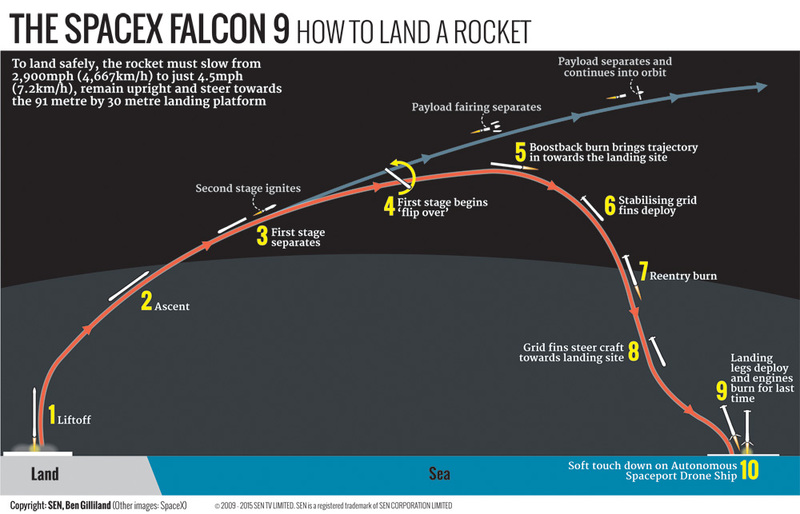 And it turns out that the engines designed by SpaceX for the Falcon 9 launcher can not be throttled successfully to less than 50% of maximum thrust. It's a characteristic of combustion engines that they have a relatively constrained range that they can operate reliably in. Reduce the fuel flow too much, by reducing the throttle setting, and they stand a good chance of quitting completely, or surging (producing too much thrust in pulses). In order to produce consistent thrust a certain minimum power setting has to be maintained. In what one might consider a characteristic SpaceX approach, they have come up with a software solution to a hardware limitation. 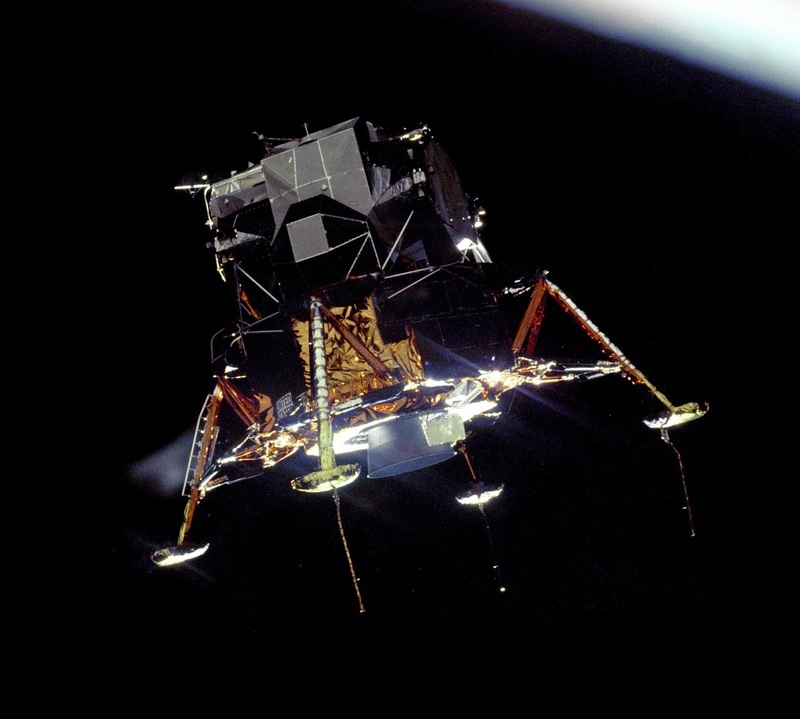 With helicopters, the Lunar Lander and Harriers the landing technique is to first establishes a stable hover and then reduce the power gradually to touch down smoothly. But for SpaceX the lack ability to balance weight with thrust means that hovering is just impossible. By the time the recovering first stage has got to the touch down point, after following the profile above, it is so light that even 50% thrust from one of its nine engine would cause it to ascend. In order to achieve the neat trick we see in the video at the top SpaceX have done something pretty audacious which no human pilot has ever been asked to achieve, this is the Hover Slam manoeuvre. After the second stage and its payload have separated the first stage must be turned around and slowed down because at this stage it's almost going fast enough to get into orbit itself. Some of its engines are restarted and after slowing down the first stage starts its descent. It's still going faster than sound as it reenters the atmosphere and heat shielding is necessary to protect the main engines, which are now at the front in the direction of travel. As it reenters the atmosphere steerable grid vanes, which can be seen in the video at the top of the page, provide some aerodynamic control. Grid vanes are used on guided 'smart' bombs and are robust and effective. At this point the launcher is basically falling out of the sky but the grid vanes allow the tube fuselage of the launcher to be positioned so that a little aerodynamic lift is produced. This allows the thing to track horizontally, towards the landing point. As the last few hundred feet of altitude is lost the grid vanes position the launcher vertically. One of the engines is restarted, the descent slows and vertical velocity becomes zero just as the thing reaches the deck height of the recovery barge. Of course, everything must be just right. Start the engine too early and the launcher would reach zero rate of descent too soon- while the thing was still above the landing deck. It would not touch down and it would continue to ascend until all the fuel was used up. Start the engine too late and it would be coming down too quickly at ground level. It would smash into the landing platform. In either case it ends in what Elon Musk likes to call RUD, Rapid Unscheduled Assembly. In fact, as the video below shows, SpaceX are getting pretty good at getting things, just right! Look closely at the video and at the end of the sequence you'll see the launcher pop up, the engine shut off and the launcher drop back down to the pad. BTW. Saving all the deceleration to the very last instant before touch down, as in Hover Slam, also happens to be the most fuel efficient way of landing. Technical details and more background on Hover Slam can be found on these links.